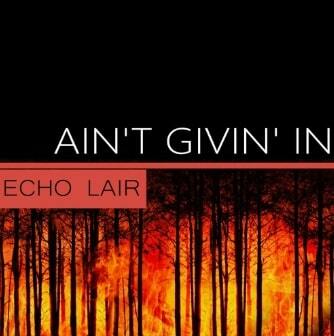 Ain’t Givin’ In, a new single from German music producer Echo Lair, is a defiant musical statement where the artist rails takes a stand addressing many of the cultural and political pressures of contemporary society. His charismatic vocal presence drives the action against a smooth groovin’ backdrop. Echo Lair is an impressive lyricist, managing to pack a lot of substance into an average length song and then delivering the words with passion and timing. This isn’t a frivolous kickback jam or recreational chit chat rap about hooking up with women and taking fun pills. Rather, this song commits itself completely to the subject of social change. It’s more of an “anthem” really, a wake up call. Ain’t Givin’ In is like like a monologue plea encouraging positive action. It’s also a well-produced hip hop song that someone could probably still enjoy even if the message doesn’t resonate with them 100%.